The traditional route of nine shelters of Carros de Foc we offer you a plus with the incorporation of two shelters, El Pla de la Font and El Gerdar. 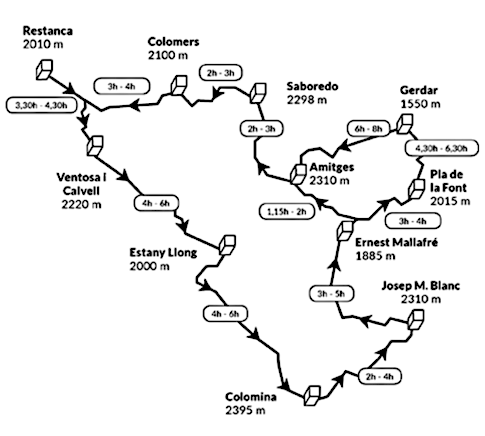 A slightly longer route, also harder, that doubtlessly will amaze you with its beauty. It is a card that will be marked with a stamp in each of the refuges we go past. It costs 20€ and with it you get an exclusive Carros de Foc cap and a map of the itinerary on a 1:50000 scale form the expert name in maps, Editorial Alpina.